Many people have expressed interest in my projects and want to know how to get started. I think the easiest way is to start composting your food scraps. This can be as simple as piling them up in your backyard. If you live in a rural area and worry about raccoons and other critters rooting through your compost and making a mess you can make or buy a compost bin with a lid. You can put your scraps in a 5 gallon bucket on your balcony and throw in some worms to break it down faster or you can bring the bucket or bag to a friend with a garden who can compost it on their property. I love when people bring their scraps to me. This is a bag of kitchen scraps from dinner at my parents’ house. Most will be fed to the rabbits and chickens and the rest will put in the compost bin to be eaten by the redworms and black soldier fly larvae. The worms and BSF Larvae will then be fed to the chickens and converted into eggs. 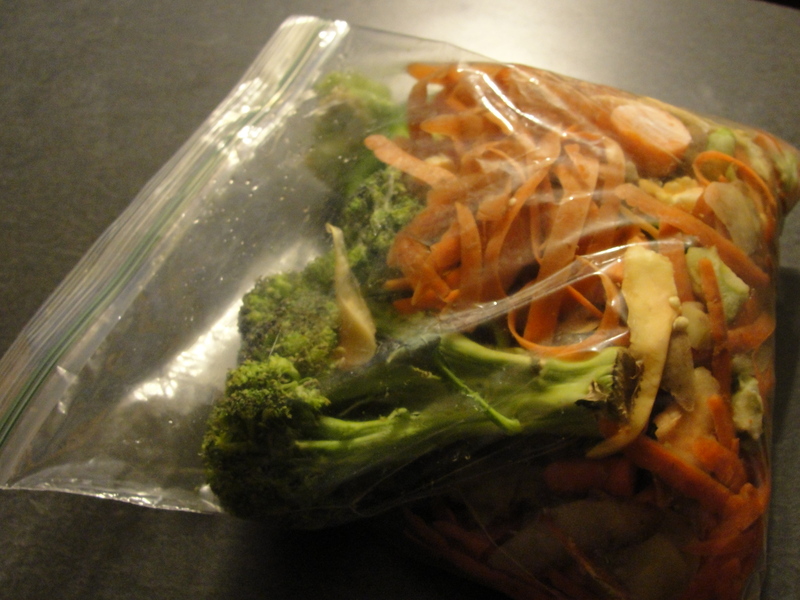 Other scraps can decompose through the natural process and can then be used to fertilize a garden. To those who are really into fitness and the bodybuilders out there, typically you already eat very nutrient rich foods, now I challenge you to put your scraps to use. Food scraps are not trash. They still have tons of nutrient content and are a valuable source of energy. Find a way to put them to use!